The MOUSE Series offer top reliability and high performance for producing small blanks. The MOUSE Series can be focused on high-output machine with a narrow width of product. 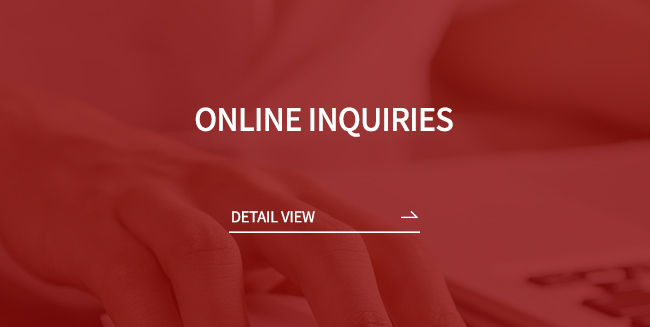 These are specially designed for top quality in economic and cost-effective ways. They are focused on delicate blanks in the smaller size range, such as those used for packaging cosmetics and pharmaceuticals. The MOUSE Series are simple to operate and set up, and make-ready times are minimal. The capabilities of the basic machines can be customized by each customer's requirement. WOLF Series was developed for small size blank to produce various type’s middle & small size blanks. Additional Pre-break section helps stable blank transfer and appropriate respond to pre-fold blank. The thicker frame than MOUSE Series makes machine much better durable against vibration and friction. Even small blank can be produced without scratch by Miniature device. DRAGON Series are able to process a wide range of carton spectrum and offer exceptional userfriendliness and profitability. 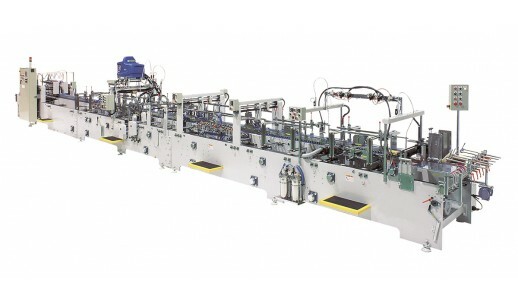 Universal, high-speed folding carton gluers for reliable processing of a virtually endless range of carton patterns and sizes. The DRAGON Series can be flexibly extended and customized with upgrade as required by each customer. 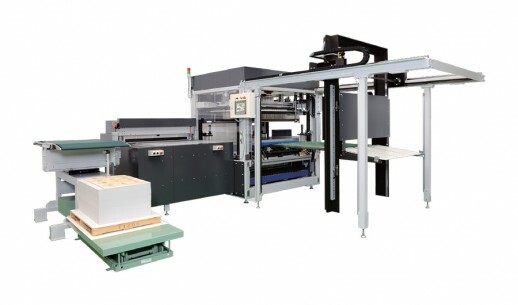 These DRAGON models lend themselves to a virtually wide range of applications : straight-line cartons, miniature cartons, lock-bottom cartons with and without pre-folding of crease lines 1 and 3, double-wall cartons with single and double folding, 4, 6, and 8-corner boxes and many other special cartons. 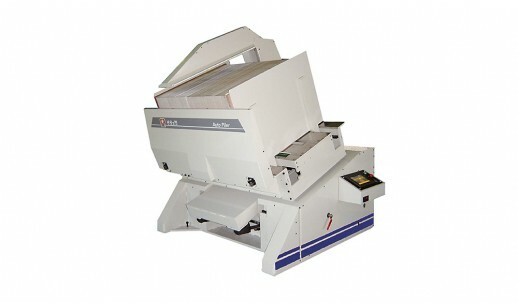 Cost-effective folder-gluer for a broad range of applications and high productivity. The PENGUIN Series have individual up and down driving bars. High precision is guaranteed by the upper and lower roller bars, which can be shifted longitudinally to accommodate specialty cartons. DOLPHIN Series are able to produce small quantity batch production with Back folding support device and Wild mill folding system. 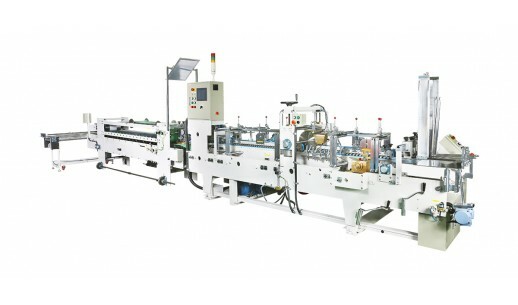 Two Pre-Break sections are able to produce auto packaging box and double wall box. 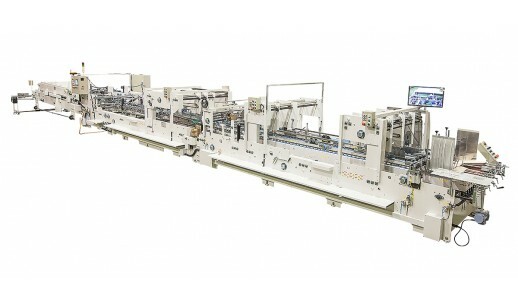 Computer setting system can be adopted to POLPHIN Series so that even non-experienced operator can use our folder-gluer. 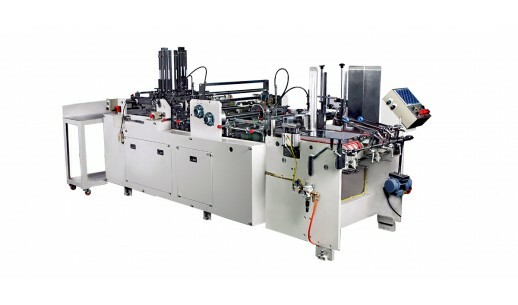 The LION Series are up-to-date machines for all common carton types and special custom applications. The LION Series are exceptionally versatile, permitting cost-effective production of all paper board including corrugated board. Also the LION Series are suitable for small lots and the motorized computer system permits highly flexible production. 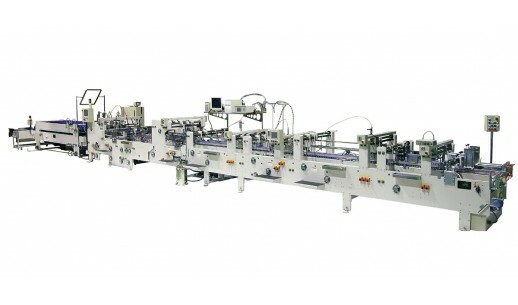 This model is universal folding carton gluer for corrugated and solid board flexibly configurable to handle a wide run. 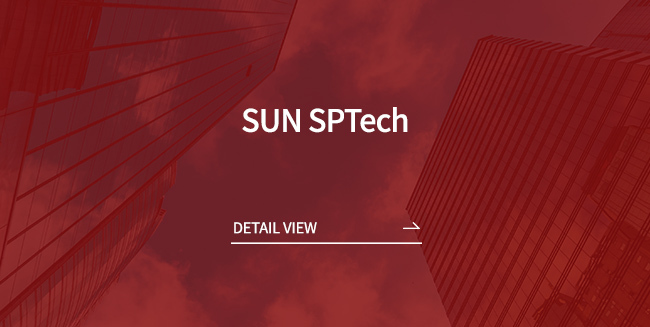 The BUFFALO Series are designed to ensure superior quality across the whole application spectrum. 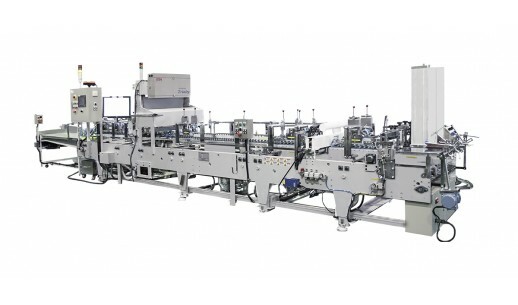 Extra-long folding paths allow precise, reliable processing of blanks and the BUFFALO models are ideal for plants that use folding boxboard and corrugated board. Twist-free system and air suction function ensure simple, safe feeding even complex pattern of corrugated board. An available option is a computer-controlled automatic set-up for complex pattern. Automatic setup of the machine and attached conveyor also can contribute to achieve top productiveness. The TIGER Series are for large sized exterior corrugated box(Width 1800mm ~ 2700mm). Special feeding system(Feeding speed equalizer) and alignment system on Pre-Break section is equipped to avoid twisting. To make adjustment easier, all sections are opened type. Computer setting system is highly helpful due to huge size. The RABBIT Series are for plastic blank such as PVC, PP, PET. 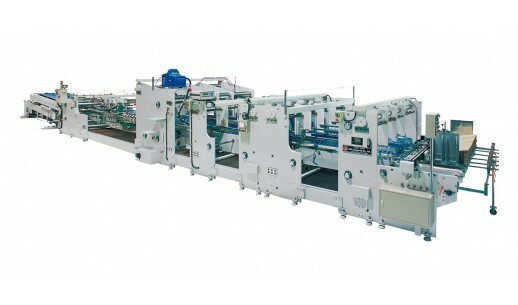 Hot melt guns system is useful for plastic blank’s folding-gluing. Folding-gluing plastic blank after paper board occurs static electricity, so paper dust can be stick to blank. To prevent the static electricity, SUN SGM developed Folder-gluer with Anti- Static electricity device for plastic blank. RABBIT Series perform best condition with Hot melt system. Up to 10,000 pcs perfectly formed trays every hour. The CAT Series ensure perfect trays with straight sides and properly applied glue for optimum tray packing and square, stable loads. Our tray formers are ideal for the food industry, personal care industry and restaurant franchise industry. Nowadays, beverage packaging such as tea or coffee is booming up. To meet these kind of trend, SUN SGM developed cup holder specialized folder-gluer. 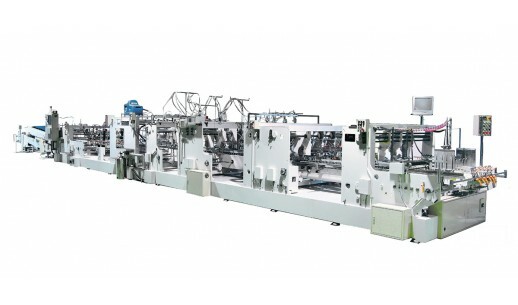 HASMTER Series show top class production capacity with stable working process. BOX MATE was developed to decrease worker’s fatigue by manual scrap separation. The optimum ergonomic design enables users to operate machine in a comfortable position in order to minimize the degree of fatigue. User can control the machine conveniently by big-sized color touchscreen panel. 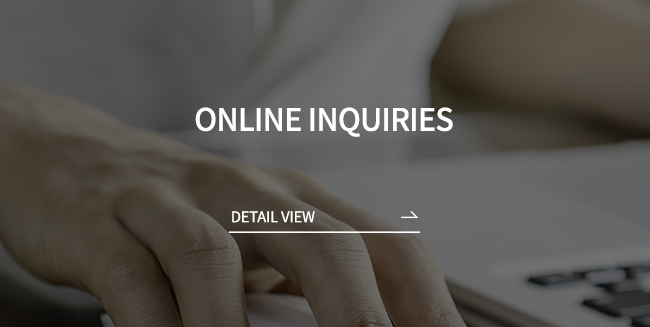 Simplified working process makes anybody to become skillful in the operation of the machine. Just one time of separation is managed within 10 seconds and it can cover the maximum height of 120mm. It makes to minimize any dangerous factor for stable drive and skillful operation. User can save the set-up data and also restart operation with the saved data whenever required at any time. User often keeps some of pre-set press pins separately for frequent work process and can use them immediately without any delay in order to save time about 5 minutes. 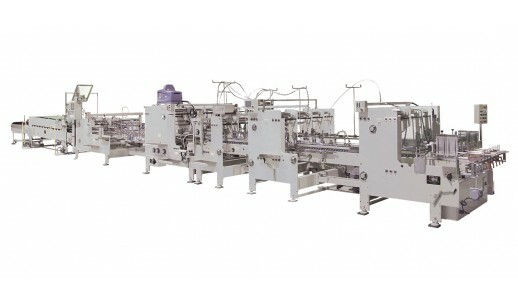 The Master Blanker is high-speed blanking machine that features automated removal, which used to be done by hand. This easy-to-operate machine includes features like a conveyor system and a new layout, to allow just one operator to do all the work from blanking to job changes by themself. 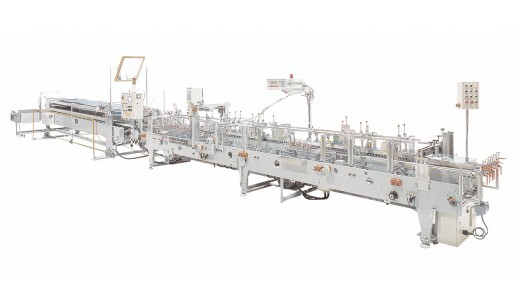 The Master Blanker CBL can be used for speedy handling of multi-product, small-lot production needs, such as paper packages, cartons, transparent packaging, mounting paper, and trays. In Food Packaging Industry, foreign subsidence is the most critical issue for customer and manufacturer. 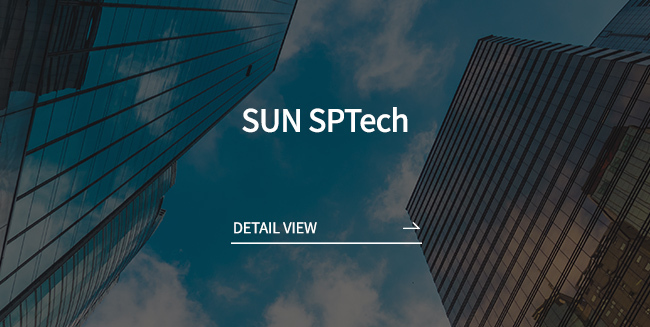 To prevent defeat by foreign subsidence, SUN SGM developed multi inspector which inspect not only foreign subsidence but also printing condition, hickey, ink spatter, pinhole, incomplete text, streak, and miss-register of die-cutting. Furthermore, optional paper dust remove system and anti-static system provide best performance for customer. 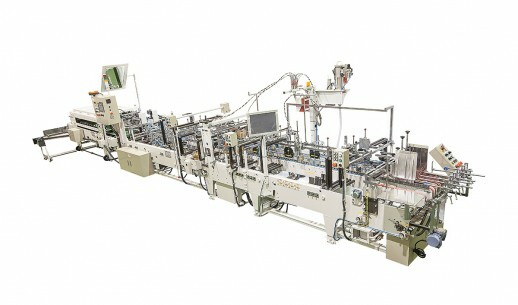 Handy packer system helps user can pack products after folder-gluer process. To pack final products in packaging box, additional 2~3 employees are required. 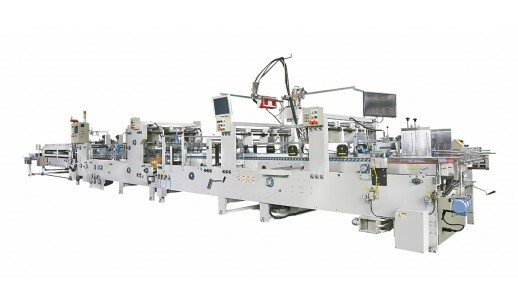 Helical belt and alignment suction system reduce additional labor cost and time so that even one operator pack final products in packaging box.SP Series performs best condition with optional parts such as Up/Down Table and Auto-Taping machine. The JAGUAR Series used for print preparation and finishing a large range of machine functions fulfill any individual requirement for turning, airing, aligning, dust removing and etc. Just 4-5 minutes, on average, for turning, airing and jogging the pile. The JAGUAR Series are available just as a turning unit or with air blowing and position aligning, also with the additional option of conveyor roller track.